The Centre is set to issue an advisory to all states on the health risks of e-cigarettes, following recommendations of an expert committee that said that these products contain carcinogens. NEW DELHI: The Centre is set to issue an advisory to all states on the health risks of e-cigarettes, following recommendations of an expert committee that said that these products contain carcinogens and do not offer safe alternative to tobacco smoking. 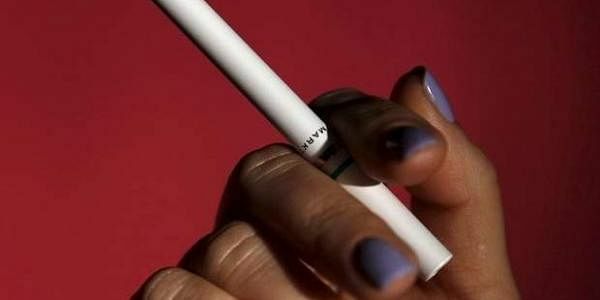 Sources in the Union ministry for health and family welfare said that the advisory was being sent out to states saying that products such as e-cigarettes and flavoured hookah contain hazardous substances and have not been approved by the government. Electronic nicotine delivery system, of which e-cigarette is a prototype, is a battery operated device that uses liquid nicotine, propylene glycol, glycerine, flavourings and water among other substances, to give the user the sense of real cigarette. “A technical committee of the ministry evaluated findings of a World Health Organisation 2016 report which had shown some surprising findings saying that e-cigarette is lethal and can lead to many serious health conditions,” a ministry official said. The committee also said that consumers of e-cigarette are largely young adults. “As recommended by the panel, we are looking into the laws to see how the import, manufacture, distribution, sale, including online promotion, advertising of nontherapautic nicotine as an extract or in chemical form can be prevented,” the official added. The Centre is also asking states to run awareness campaigns advising public not to use any such products, sold or marketed in any form and under any name or brand. The government is mulling whether to ban e- cigarettes under the Cigarettes and Other Tobacco Products Act (COTPA), the Drugs and Cosmetics Act, 1940, or the Poisons Act 1919. Some states, including Punjab, Haryana, Kerala, Mizoram, Karnataka, and Jammu and Kashmir have already banned e-cigarettes as an unapproved drug invoking either Drugs and Cosmetics Act, or the Poisons Act. "Nicotine has recently been declared as a lethal and hazardous substance under the Environment (Protection) Act and Insecticide Act so we felt the need to look into the issue and also assess the consumption figures," another official in the ministry told this newspaper. Public health experts welcomed the government move saying it is good that the health ministry is mulling to stub out e-cigarettes across the country.